Traders are no longer confident that the Federal Reserve will hike rates even once next year. The 10-year Treasury yield has gone into steep decline this week, falling from above 3 percent on Monday to 2.83 percent on Thursday. That is a very rapid movement for the government bond market, traditionally considered the staid and steady corner of finance. Not so long ago, many traders thought it would end the year closer to 3.5 percent thanks to strong economic numbers and a Federal Reserve that appeared to be determined to raise its target interest rate. A little over a month ago, the 10-year was yielding 3.28 percent. The futures market, where traders can wager on where the Fed’s target will be next year, has seen a dramatic decline in bets that rates will go higher. The futures now imply just a 66.3 percent chance that the Fed will hike in December. That is down from 82 percent just one week ago. On Wednesday, the futures market implied a 79.2 percent chance of a hike. The odds of hikes in the coming year have also plunged. Earlier this year, futures prices implied the Fed would hike at least two times and perhaps three. Now the market sees just a 48.9 percent chance of even a single hike by the end of 2019. There is just a 15.6 percent chance of two hikes next year. On the flip side, there are better than even odds that the Fed does not hike in 2019. In fact, the futures market implies at nearly 13 percent chance that the Fed will not have raised rates at all from their current level or, if it had, will cut rates back down. President Donald Trump has repeatedly said he does not think the Fed should be raising rates while his administration attempts to speed up economic growth. In recent weeks, Fed officials have indicated that they may have to re-evaluate plans to hike rates next year. Although the U.S. economy still shows many signs of strength, the global economy is weakening. And the strong growth of the second and third quarter is expected to slow in the last three months of the year. Next year is widely expected to see even lower growth as stimulus from the tax cuts and larger deficits settles into the economy. The most interest rate sensitive parts of the economy, particularly housing, already indicate that growth has slowed and will continue to slow. The Fed’s monetary policymakers will meet again on December 18th and 19th. After the meeting, it will release a statement announcing any change to its interest rate target and summarizing its views of the economy. 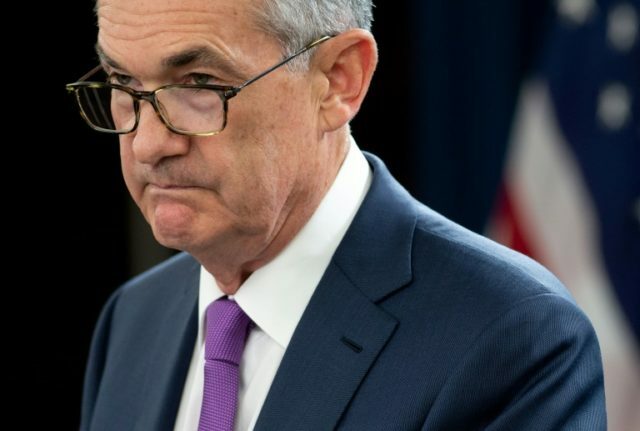 After that, Fed chairman Jerome Powell will give a press conference to discuss the Fed’s decision and views. As well, the Fed will release projections of interest rates and inflation from members of its monetary policy committee.